It’s not a good feeling – overwriting that presentation, suffering an ill-timed power failure or hard drive crash – any of one thousand different ways to ruin your day. Perhaps going back to yesterday’s backup is an option, if you have one. This isn’t the end of the story, however getting back those eight hours of your life might require a bit of intervention. At least, we do not want to make the problem worse and complicate recovery. In this post, I explain critical information that can make the difference between a successful recovery and a total disaster. If you are searching for a data recovery expert who can help you now, give us a call or stop out during business hours. Despite best efforts to keep it backed up, your critical files have fallen through the cracks. 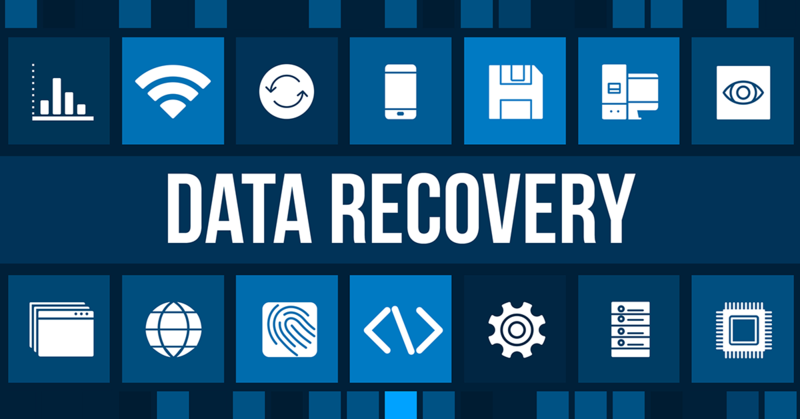 Collett Systems can undoubtedly prevent this from ever occurring which is a topic for another day, but our data recovery experts have a good shot at saving the day when disaster strikes. DO NOT run a scan disk or any drive repair software. Your operating system may prompt you to do this. Your operating system is concerned with keeping the logical structure of the partition intact and valid. When data corruption occurs, your OS may discard data that is not in perfect order if you allow it to repair the partition table or file system layout. Your West Bend Data Recovery technician may still be able to help you, although the level of difficulty for that person just went through the roof. DO NOT attempt to format or change the partition in any way. Your operating system may prompt you to do this as well. DO NOT install recovery applications or make any changes to other files on the affected disk – ever. DO SHUT DOWN your system immediately. Make no further attempt to boot to this media. Data recovery options; how important is it? You have a few options when deciding what to do about your lost data. What route you take depends on your comfort level as well as the necessity of the data recovery. Sixteen months of accounting data you forgot to back up may preclude any self-help options. Always keep in mind that any attempt to retrieve compromised data which is not successful will likely further compromise recovery. If it’s important to you, It isn’t a good idea to try self-help. If it helps to put a dollar value on it, knowing what a lab recovery would run, I’d say if you’re willing to spend $750-$1200, we should ship it to the lab right away. They’ve got the clean rooms, hardware replacement stock, hardware repair facilities to perform the most delicate work. Here at our offices in West Bend, we do not engage in physical disassembly or repair of the drive, which is generally not required for a successful recovery. We secure an image of the drive if possible and work from there to ensure no further damage to the media. After a full evaluation, we determine the probability of success and issue a report. Most of our clients find success with our recovery efforts, and the total on these jobs can vary on complexity. Budget between $150 – $500 for this work not including return media (hard disk, USB drive, DVD-R). Many data recovery applications do work quite well in limited situations. One important application which also happens to be both free and trustworthy is an application called ‘Recuva.’ Recuva is an excellent option for the amateur, and I suggest you stick with it if your knowledge is limited. This program may work well if you accidentally deleted a file that isn’t on your backup or saved over the file with an undesired edit. Logical disk structure problems are going to be beyond the scope of this application. You may want to remove the disk from the affected computer if it is the boot drive and connect it to a functioning computer and install this software – this prevents data which has not been physically overwritten by the operating system from being destroyed, and installing applications onto the affected disk is a sure-fire way to make that happen. Hope you weren’t too attached. Partition recovery and other structural problems are often resolved with a program called [email protected] Partition Recovery Enterprise. Same concerns with overwriting data however this tool is much more advanced and selecting the wrong option may cause all chances to fade. Do yourself a favor and create an image of the drive to work off. If your drive is making unusual noise – do not attempt these procedures without first repairing the hardware defect. Most logical hard drive data recovery, which presents in the overwhelming majority of data recovery cases, are handled at our offices in West Bend, WI so we can keep you up to date and give you results fast. Physical repairs are handled through our partner Gillware out of Madison WI. There are several companies out there that may charge you to look at the drive, and once you’ve spent the nickel, they go for broke and quote outrageous prices to get your data back. Here at Collett Systems, we take the time to thoroughly diagnose your drive and quote the repair – even providing a listing of files we can retrieve before you pay a dime. If you’re looking for a local data recovery expert stop by or give us a call and we can discuss your options. Alternatively, fill out the form to the right.